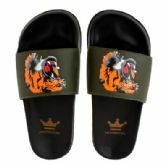 When you are kicking back and relaxing in the hot weather, there’s nothing more comfortable to wear on your feet than a good pair of sandals or flipflops. 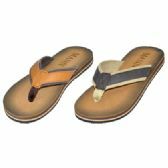 So, if you want to give the men who come to visit your retail store or online store a summer treat, why not give them a range of top quality men’s wholesale flip flops and sandals to choose from by purchasing your wholesale supplies of men’s sandals and flip flops from All Time Trading? 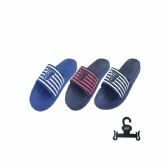 We have gathered together the finest collection of low-cost men’s whole flip-flops and wholesale sandals for you here, and you can buy them at low, discounted bulk wholesale prices. 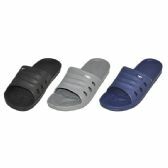 Perfect for a summer vacation, hanging out on the beach, or hiking in the summer sun, high-quality men’s spring and summer sandals and flipflops are a guaranteed big seller. 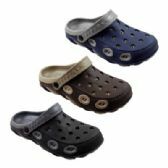 We have a huge variety of cheap men’s open-toed summer footwear here for you, and they are all available to you at the lowest wholesale prices. 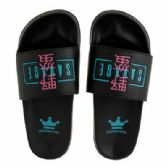 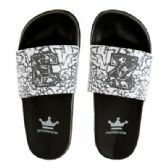 We have cases of men’s heavy-duty flip flops in assorted colors, low-cost cases of assorted men’s sport thong sandals, and we have some amazing wholesale deals on men's soft rubber slide sandals and men’s Velcro slippers. 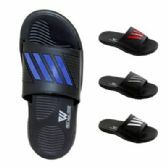 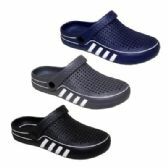 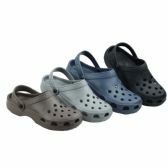 All Time Trading is the number one wholesaler of men’s clothing and footwear, so place your men’s sandals order today. 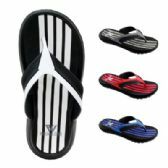 You won’t find low-cost wholesale men’s flipflops like these cheaper anywhere else. 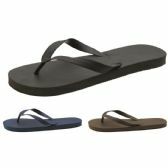 For out in the surf, or upon the boardwalk, men’s bulk flip flops and bulk sandals are the favorite men’s summertime footwear, so order your high quality, low-cost wholesale flipflops and sandals for men at bulk discounted prices and stock your retail store with the very best men’s sandals and flipflops around! 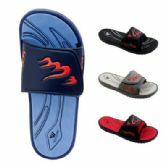 There really is no point looking elsewhere, because all the best prices on wholesale men’s sandals and flipflops are right here at All Time Trading. 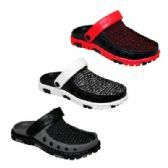 We buy men’s summer footwear in vast quantities, so that we can get the best deals. 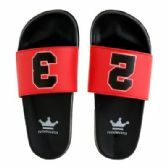 We then pass those savings onto our retail customers in the form of the lowest ever wholesale prices on bulk cases of men’s summer sandals and flipflops. 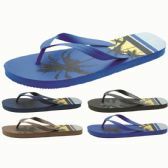 If you have a surf shop by the beach, a summer sport store on the boardwalk, or a men’s clothing retail outlet, can you afford not to have a good selection of top quality, low-cost men’s flipflops and sandals in stock for the spring and summer seasons? 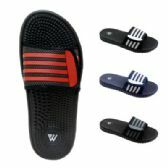 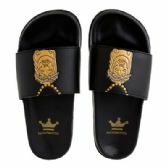 Place your order for your wholesale supplies of cheap men’s sandals and flipflops at low bulk discounted prices and be prepared for the summer vacation and hiking season. 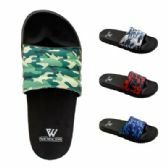 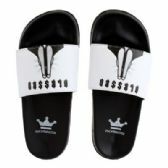 With the best wholesale men’s slippers, thong flipflops and rubber sandals in your store, you are guaranteed a good footfall! 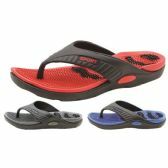 Check out the wide variety of men’s summer footer that we have for you. 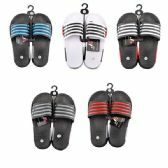 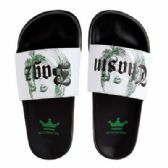 From assorted bulk cases of wholesale flipflops, to bulk discounted cases of cheap low-cost men’s sandals in assorted colors, we have the best selection of men’s summer flipflops and sandals on the market. 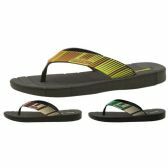 The time for relaxing in the sun is nearly here, so order your top quality, low priced wholesale flipflops and sandals for men now, and we will get them shipped out to within just 10 business days. 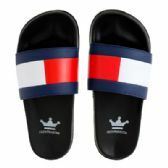 Remember; you always save big time at All Time Trading!